The candidate should click on "Admission tab" to fill the Application form for the respective course. The candidate will be redirected to the Application form. Here, the candidate should first fill in his/her Personal details. The candidate should upload his/her Photo. The candidate should fill in details about his/her Educational Background. The application fee is to be submitted through Credit Card/Debit Card/Net Banking/Demand Draft. The admission process for 1st semester begins the very next day of the Gujarat Board Examination results. 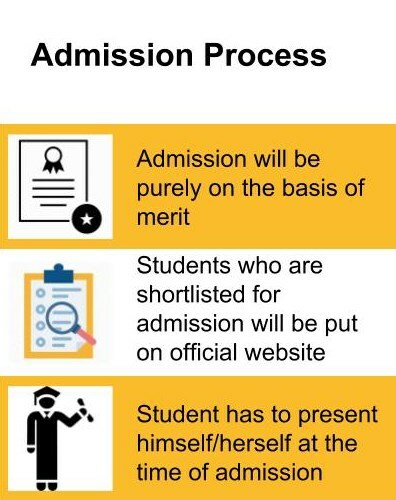 The exact dates and the duration of the admission process will be announced on the College website. Application for admission to Xavier's College Ahmedabad should be made by filling the online admission form provided on the college website. For the benefit of those students who cannot access internet facilities, a few computer terminals will also be made available at the College. After the registration, shortlisted candidates will be informed through email/SMS, asking them to appear for counseling on a specific date and time. Please note that shortlisted candidates will have to undergo the process of counseling and the selection procedure decided by the college. Admissions are granted based on merit. Merit list will be displayed on the notice board. The candidate must present himself/herself personally at the time of the interview/counseling, both at the department level as well as when meeting with the Principal and/or his delegates. The original mark sheet, a copy of first attempt certificate, and a copy of the school leaving certificate with all relevant documents for verification will have to be presented. Candidates from other than Gujarat Board wishing to join are required to present a Provisional Eligibility Certificate from Gujarat University after verifying the possibility of admission. List of students based on merit, as defined by the Institution, are put up on the College notice board from time to time till the seats are considered full. The candidates on the list are called to meet with the Principal to finalize the admission. Name on the list does not guarantee admission. Only the Principal of the college is empowered to finalize the admission. Applicants should check the notice board daily till the admissions are closed. Candidates must have passed 10+2 or equivalent examination with 40% marks in aggregate from any recognised Board are eligible for St. Xavier's College, Ahmedabad admissions 2019. The candidate who have passed the Higher Secondary Certificate Examination with Science/ Commerce/ English/ Mathematics/ Physics/ Business Mathematics/ Accountancy/ Elements of Accounting/ Accounting & Book Keeping/ Computer are eligible for this course. Candidates must have passed 10+2 or equivalent examination with 40% marks in aggregate from any recognised Board. The candidate must have passed the Higher Secondary Examination (10+2) with Physics, Chemistry, and Mathematics conducted by the Government of Gujarat; or an examination accepted as equivalent thereto by the Executive Council / MHRD, India, subject to such conditions. The candidate must have passed the Higher Secondary Examination (10+2) with Physics, Chemistry, and Biology conducted by the Government of Gujarat; or an examination accepted as equivalent thereto by the Executive Council / MHRD, India, subject to such conditions. The candidates who are applying for this course must have a Bachelor's degree from Gujarat University or Other University. The candidate must have passed Three Year Bachelor in Science Examination with at least 50% marks aggregate. Entrance exam is also conducted. The candidate must have passed Three year Bachelor degree with B.Sc (Statistics, Mathematics, Computers, Physics, Electronics) / BA (Economics) / BCA / BE / B.Tech (Computer Science) are eligible for St. Xavier's College, Ahmedabad admissions. There weren't any cut-offs or entrance exams in St. Xaviers. The institute selected students based on the performance in interview. School marks did play a role, but they took into account other aspects of the student too. No entrance exam is required for the admission. The minimum eligibility criteria is 12th pass, the typical cut-off for general category students is 74% and for reserved category students, 50%. The eligibility criteria for joining St. Xavier's College is based on your academic result or graduation marks and good marks in the 12th. The student must pass the 12th-grade examinations. The admission procedure in this college is based on 12th-grade marks. This is the great college for the bachelor students. St. Xavier's College is governed by the ordinances of the St. Xavier's College (Autonomous) for granting admission to students. It retains its privileges as a minority institution. With effect from June 2009, the Board of Trustees has set up a special procedure for admission based on a thrust for excellence expected of a minority college. The admission process for 1st semester will begin soon after Gujarat Board HSC exam results are declared and completed within a span of 8-10 days. However, students can pre-register themselves first and as soon as their result is announced they can complete the form fill-up process and can submit. In Registration phase, once you successfully register yourself, you will be receiving an auto email on your registered email-id and SMS on your mobile, with login credentials and link to be re-directed for further complete admission form fill-up process with unique Registration Number. Important dates of admission process will be flashed on Portal. Only one application is allowed for an applicant per course. If, at any time, it is found that more than one application is filled by a candidate then the candidature will be summarily rejected. Candidate applying for self finance or other courses must apply through separate form. Short-listed candidates list will be put up on college website, as well as intimated through SMS. They will be required to appear for counselling for selection at the designated time & date. There are no Agencies/Cybercafe or any other institutions recognised by St. Xavier's College (Autonomous), Ahmedabad for Online Application. The admission process for 1st semester will begin soon after Gujarat Board HSC exam results are declared and completed within a span of 8-10 days. However students can pre-register themselves first and as soon as their result is announced they can complete the form fill-up process and can submit. Students who have passed HSC Examination from Gujarat Board / CBSE / ISCE / NIOS /IB or any other equivalent exam (For UG admissions) or students who have passed TYBSC/ TYBA Examination from Gujarat University / Other University (PG admissions) have to log on to the website www.sxca.edu.in from anywhere on the internet for Online Application. 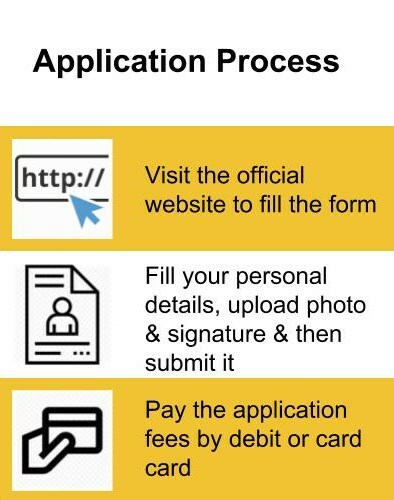 You can fill online application form yourself by following simple instructions. You may also visit our campus Facilitation centre for help regarding filling up Online Application form. Fill online application form carefully. Follow the instructions and pay online through Credit/Debit Card, Net Banking, and Mobile Banking. For the benefit of those students who cannot access online payment facilities, cash tokens will be made available on sale from St. Xavier's College, Ahmedabad. Limited computer terminals are also available (12 noon to 3 pm) at College campus for filling up online admission form. NB: No offline Application will be entertained. Any false/incorrect information in Online Application form will be liable for rejection. After successful submission of Application form, an email will be sent to registered email id with all details of the form and acknowledgement number. Please quote the acknowledgement number for all future correspondence. Short listed candidates will be informed through e-mail / sms (to applicant's registered mobile number), asking them to appear for counselling / interview on specific date and time. Candidates are admitted on the basis of their marks at the qualifying exam and a personal interview/counselling, first with the members of staff of the selected department, and then with the Principal and/or his delegates. Please bring following documents in original and self attested certificate at the time of interview. Other applicable certificates (Cast Certificate (SC/ST/OBC), Certificate for Differently Able, Ex Serviceman, Baptism certificate for Roman Catholics, Income / Salary Certificate etc. NB: Students from other than Gujarat Board wishing to join St Xavier's College are required to present a PROVISIONAL ELIGIBILITY CERTIFICATE from Gujarat University after verifying the possibility of admission. However, they can apply for admission online. Lists of students based on merit, as defined by the Institution, are put up on the College notice-board/website from time to time till the seats are considered full. Announcements concerning these are put up on the notice board as well as on the website. The candidates on the list are called to meet with the Principal to finalize the admission. Names on the list do not imply admission. Only the Principal of the College is empowered to finalize the admission. Those having outstanding achievements in any field of human endeavour are given consideration and are treated as "special cases". This, however, is subject to the discretion of the management. Students are also admitted under sports quota and cultural activities quota, for which they are required to substantiate the capacities claimed by them. Differently-abled students are also admitted to the college under special consideration. Christians and certain classes, such as members of Scheduled Tribes, Scheduled Castes and other Backward Classes are given special consideration. The candidate must have passed the Higher Secondary Examination (10+2) (with Arts /Commerce / Science Subjects) conducted by the Government of Gujarat; or an examination accepted as equivalent thereto by the Executive Council /MHRD, India, subject to such conditions as maybe prescribed therefore.